Protest against controversial act called SOPA, PIPA & ACTA continues. Anonymous hackers from Sweden stated a campaign named "#OpIreland" and mounted DDoS attacks against the websites of the aforementioned politician and junior minister Seán Sherlock, and the Departments of Finance and Justice last week, and sent them offline for certain time. Last night this hacker group turned their sights towards a number of websites tun by the Department of Foreign Affairs, but this time they took it upon themselves to do more damage. As a result the have breached the security and stolen senstivie data such as Full Name, Email-id, Password. All the leaks are posted on a pastebin release by the hacker group. In a twitter release @AnonOpsSweden took responsibility of this security breach. A spokesman for the Department of Foreign Affairs confirmed the breach but said that other servers belonging to the Department were not compromised. The Irish Aid website is still down as the Department's IT specialists are investigating the matter. Earlier for #SOPAblackout issue anon has performed massive cyber attack. 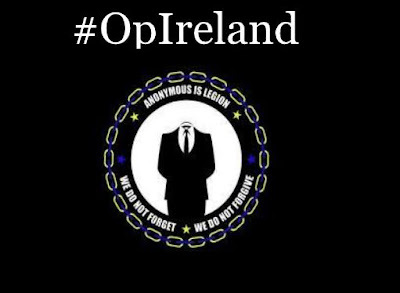 And also for #OpMegaupload they have bring down Federal Authorities, US Govt, Brazil Govt, Ireland's Dept of Finance & Justice, CBS TV Network, UFC.com and many more.